Book hotels in Gundagai via the Trip.com website or app, it's easy and hassle-free. New and popular hotels in Gundagai recommended by Trip.com. Gundagai is not a big city. When traveling here, you can choose to stay in hotels around the city center. You can plan a day tour in Gundagai. There is no civilian airport in this city. You can visit a nearby city first, and then head to Gundagai using other means of transportation. Although there aren't any airports or train stations, visitors can come to the city via bus or other means of transportation. There are not many hotels in Gundagai. Guests are advised to book in advance. Gundagai has high quality and low-priced hotels. You can spend one night at a nice hotel for only 110 AUD. There are 4 four-star hotels in Gundagai at an average price of 113 AUD per night. There are 4 three-star hotels in Gundagai at an average price of 107 AUD per night. Hotels in Gundagai offer great value for your money, so a high accommodation budget isn't necessary. Those who favor Comfort Inn can choose a hotel under its name. Comfort Inn is the top choice of many travelers in Gundagai. Church House B&B Gundagai in Gundagai is a favorite among Trip.com users. Many tourists also stay at Golden Chain Garden Motor Inn Gundagai. If you want to spend a fun vacation with your family, locals recommend visiting Gundagai Tourist Information Centre. You can also visit top-rated attractions like Old Gundagai Gaol, Gundagai Museum, Anzac Grove War Memorial. 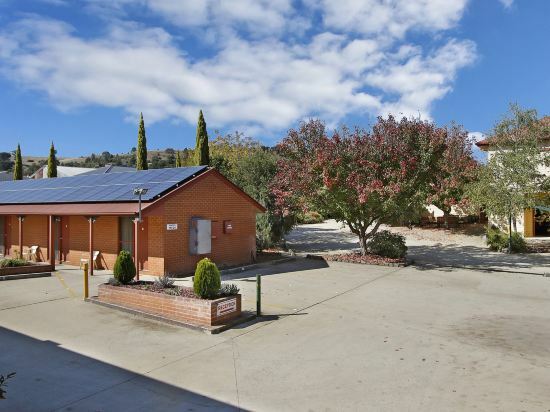 Gundagai hotel information & deal: Check out room rates, photos, a map and reviews of hotels in Gundagai and find the best deals on Gundagai hotels. Trip.com offers big savings on online reservations for Gundagai accommodation. Book Gundagai vacation packages and Gundagai tours with huge discounts on Trip.com!